The unique design of the triangle truckboxes keeps your tools, whether metric or SAE, in place and organized when the lid is secured and you are transporting them in the back of your pickup or John Deere Gator™. These distinctive tool boxes allow you to see your entire tool inventory at a glance. 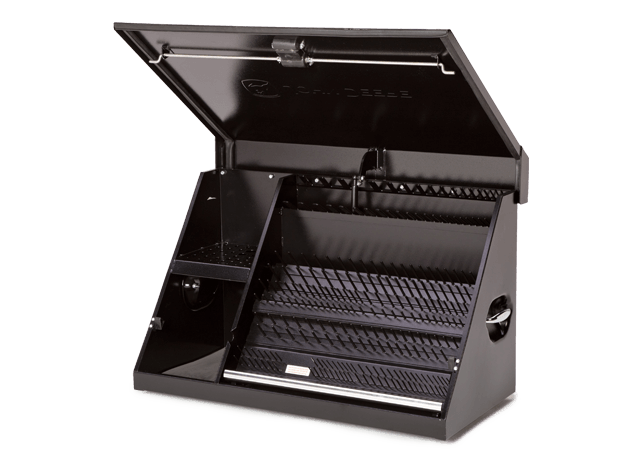 Available in two sizes, either with a durable powder-coat black or green finish, with a 5-year limited warranty.